I know it has been a while since my last post. For the next entry, I've decided to write about a game that I completed a long while ago. It still stands as one of the biggest surprise hits for me and I felt like writing about it so more people could become more familiar with the game. So that means that the next game to be reviewed for "In My Console" is the small town survival horror game: Deadly Premonition. The Story: A brutal small town murder of the death of homecoming queen, Anna Graham, brings FBI Special Agent York to the town of Greenvale. What seems to be a connected homicide turns into a full-fledged string of murders with a psychotic individual carrying an axe and wearing a raincoat at the helm of the deaths, effectively called The Raincoat Killer. 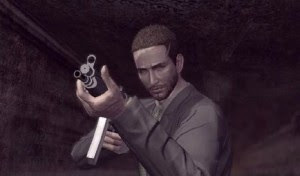 The game features a sandbox function with a slew of interesting lead, supporting and minor characters who are all targeted as suspects as the Raincoat Killer. 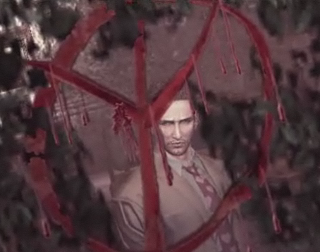 It seems everyone had a reason to either be the killer or a possible target for the killer; as York, your job is to follow through with the investigation and catch the killer before more people start dying. Where To Play: The game is currently only featured on the Xbox 360 and the PlayStation 3. Always for the purpose of my reviews, I played this game on the Xbox. I do know that this game has had a limited release and is slowly being released in areas across the world. The Good: The standout highlight of this game has to be the incredible storyline. For a budget game ($24 CAD), there is over 20 hours of gameplay where there story develops itself with a huge supporting cast. This game mimics the feel of a B-horror movie and the 90s hit television show, Twin Peaks. Unlike it's rival video game competitor, Heavy Rain, you actually get a logical sense of who the killer is and the events surrounding the string of murders. 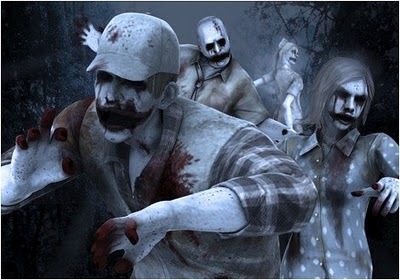 Simply separating the Ghost World and the Real World, you get a real life game with crazy characters with a perfect mix of old survival horror. Another great factor about the game is the sandbox variety. You can take the game at your own pace and complete side missions to unlock a variety of things for York to use; especially when he enters the Ghost World. A great tidbit to remember is that when you complete certain side missions and talk to people in the town, you actually learn more about the characters, certain legends surrounding the killer, urban legends in the town and a progression to the story. The Bad: This game may be on the latest generation of video game consoles, but the graphics are one system behind. The town may be gorgeous in its simplicity; however, sometimes the graphics can take away from the awe struck. Everything seems a little shoddy and graphics definitely needed to be upgraded such as the river in the town, design of trees, the designs of food and the pictures on the trading card Another hindrance is the controls while using York and the weapon system. Sometimes when you are using your gun, the bullets aren`t actually hitting your enemy and just wasting ammunition. If you don`t fully understand the controls early on, you may experience some problems later on. I may have bagged on the game's graphics and controls; however, for everything that is wrong with the game...it made it perfect. It's like that expression: "It's so bad, it's good!" The story just draws you in and could be its own feature length film or television series. There is enough craziness mixed with realism that you actually understand what it is going on when you get into the nitty-gritty of the game. The characters are thought out perfect and equally all unique, the killer and villains are actually scary, and you get so much and more for the price value. I've read previous reviews from other sites where there has been polarizing results: some score really high while others score low. I look at the low scores for people who are more into graphics than storyline. I love visually appealing graphics as much as the next person but if there is nothing concrete behind it (storyline) then what is the point of playing. This is an underground game that is gaining momentum with grassroots word-of-mouth movement so hopefully you all will check this game out and see what all the talk is about.